You may receive updates from Interior Designers, the creator of this petition. When you first launched, we trusted you and liked working with you, just as we did with IvyMark. Houzz said it was solely built to promote our businesses, to connect us with consumers who were interested in good design. We also liked Ivy and trusted them, we were willing to work through all the coding errors and issues because it also seemed that they were on the side of designers. But for both Houzz and Ivy, the business models have changed between what we were promised and the reality today. Houzz has evolved and it is now using photos of our interior design projects in a very different way, one that impacts our businesses and our industry. When you started selling products from our room photos, you never asked us – the designers of those rooms – for permission. Often those products are lower-priced and inferior to the ones we use in our custom designs, which is not only a misrepresentation of our work and misleading to the consumer, but also may be a violation of copyright. Your founders have boasted that Houzz has a billion-dollar valuation, but that was built on our backs using our creative work (see Spotify for why that’s a problem for you). And now the same thing is happening with Ivy. We do not want Houzz to have access to our private accounts, to the “inside information” for how we run our businesses. Because we do not trust you. a. Houzz must immediately stop selling products from designers’ images in all markets in the United States and internationally until an appropriate use license or affiliate agreement between Houzz and the designers and photographers has been negotiated. b. Designers must be allowed to remove their photography — regardless of how many idea books the work has been shared to — at any time with no consequence to them. c. Houzz must not allow third-party partners to use designers’ photos for any ads or editorial articles without first receiving permission from those designers and/or their photographers. d. If a designer decides to opt-out of using the Houzz platform, their business is not listed or “remembered” by the platform in any way. They simply won’t appear in search results. e. If a designer does not choose to buy any additional advertising from Houzz, they are removed from the Houzz call list permanently. f. If a designer does choose to advertise with Houzz, they must receive analytics proving that what they have paid for – namely higher billing in searches in their marketplace – is actually what they are receiving. g. Houzz must seek a designer’s permission before they use a photo of theirs in any online editorial content. Your entire business model is built on our work – so we expect a swift resolution to our demands. Our petition has been reported on by blogs, industry news like Editor at Large, and even national coverage like Architectural Digest but we are not done with our fight. As Houzz responds with lackluster promises to help the design community, we must band together now, more than ever. If you agree with any one of our concerns or want to support our cause, please sign the petition. We are so grateful to each and every one of you. We are in this fight for the long term. We want change and we will fight long and hard to get it. For those who have signed, share this petition today. Get word out! Ask 5 friends to sign. We need your help! View Signatures and Comments Here<--- some of these stories of lost investments into Houzz marketing are so sad. This is it. This is our chance to unite together and make our voices heard. 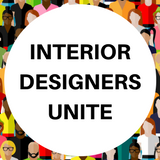 Please stand with us now by adding your name to this petition and help fight back unfair business practices that hurt designers and the interior design business as a whole.